If you have never heard of Astaxanthin, then you are not alone; a quick unscientific survey carried out at work revealed that not one of my colleagues knew what I was talking about. 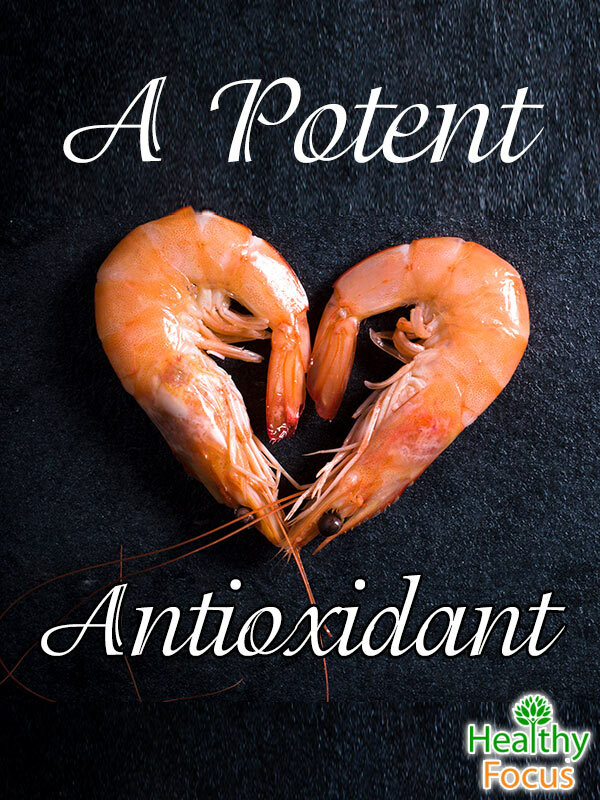 That is nothing new but this little known carotenoid has been extensively studied in recent years and these studies reveal that astaxanthin might well do wonders for your health. Research has focused on a number of individual health benefits from skin care to joint and heart health but it is it’s the figures regarding its antioxidant properties which are really striking. Astaxanthin is a very powerful antioxidant and so far, no more potent antioxidant has been found in nature. By means of comparison, astaxanthin is 550 times and 6,000 times more powerful than vitamins E and C respectively. Carotenoids are naturally occurring pigment colors which promote health; you have probably heard of beta carotene which has an orange color. Astaxanthin which is found in certain algae on the other hand is red and it lends its color to many marine creatures like lobsters, crab, shrimp and ocean salmon as well as giving flamingos their trademark pink hue. We are regularly told that antioxidants are good for our health; they work by counteracting the damage caused by free radicals. We need a helping hand because free radicals tend to outweigh any antioxidants which occur naturally. Antioxidants transfer their free electrons to the damaged cells but unlike many antioxidants which become depleted after this transfer, astaxanthin retains a huge surplus of free radical neutralizing electrons allowing it to stay active for longer. Moreover, astaxanthin can handle a variety of free radicals at the same time unlike most antioxidants which can only deal with one free radical at any given time. The incredible antioxidant properties of astaxanthin make it a substance of research interest in terms of cancer treatments. While there is clearly a need for further research, one study carried out on breast cancer victims in 2005 revealed that astaxanthin could slow and reduce the development of cancerous cells. Astaxanthin is a powerful anti-inflammatory and also an effective pain killer. It can work on your body in the same way as many over the counter analgesic medications without any risk of side effects or addiction. Astaxanthin has specific applications for diseases like rheumatoid arthritis and osteoarthritis as well as the relief of other pain such as menstrual cramp and joint injuries. It inhibits COX 2 enzymes and when they are blocked, inflammation will be reduced. A study carried out in 2012 revealed that astaxanthin applied either topically or taken orally could promote healthy, good looking skin. Astaxanthin can smooth your skin by reducing wrinkles and other blemishes associated with aging such as age spots. It can also act to tone and moisturize the skin and give it more elasticity. For those of you with fair skin or those who are exposed to UV rays for any length of time, there is more good news. Astaxanthin also protects the skin against UV rays. While it does not actually block the UV rays themselves, it does protect the skin against the damage associated with sun exposure. Because of its potent antioxidant properties, astaxanthin neutralizes the free radicals produced by the sun’s rays and prevents the typical damage caused by sunburn. If you are an athlete and you are finding it increasingly difficult to recover from your exertions then astaxanthin might well provide the answer. Many athletes claim that astaxanthin supplements help their bodies to recover more quickly as well as promoting greater endurance in sports which require it such as running or rowing. Several studies carried out in 2007 and 2008 on both animals and humans point to the effectiveness of astaxanthin supplements improving athletic strength and endurance as well as reducing the effects of fatigue. A number of clinical studies provide the proof that astaxanthin contributes to healthy eyes. One such study done by the University of Illinois found that astaxanthin protected the eyes by its ability to accumulate in your retina. One of the major causes of blindness in the USA is macular degeneration which can be prevented with the use of astaxanthin. It can also help protect against eye strain, blurred vision and diabetic eye disease. The cardiovascular benefits of astaxanthin have been studied in some detail. Research carried out on rats in 2006 showed that it could be effective in heart treatment. Astaxanthin has the potential to improve blood circulation and reduce blood pressure. The results of this research indicated that astaxanthin might increase the thickness of the heart’s arterial walls and also improve vascular elastin levels. It is also claimed that astaxanthin can improve cholesterol levels by increasing production of HDL (good cholesterol) and by decreasing triglycerides. As well as its numerous other health benefits, astaxanthin could have applications in the battle against dementia and other brain diseases. A large number of recent health studies into the effects of astaxanthin on the brain indicate that it protects the brain’s neurons and slows the rate of cognitive decline associated with aging. One such study revealed that subjects who took astaxanthin supplements had a significant reduction in their level of a compound associated with dementia known as phospholipid hydroperoxide. Astaxanthin might have far reaching applications in the treatment of male fertility. A study carried out in 2005 on 30 infertile men showed improvements in a variety of sperm parameters including sperm count and also motility in subjects that took a large dose of astaxanthin. It should be noted however that this study was on a relatively small scale and that more research is needed in the area of fertility before astaxanthin can be truly hailed as cure for infertility. READ What is Aloe Vera Juice Good for? Diabetes and obesity have reached epidemic proportions in the West and because of the inextricable link between the two; a new term – diabesity has been coined. Diabesity is linked to metabolic syndrome and a host of health complaints such as chronic inflammation, high levels of oxidative stress, lipid glycation and tissue damage. Astaxanthin can benefit diabetes and obesity in a variety of ways. Astaxanthin has also been shown to prevent large body weight gains in mice fed with high fat or fructose diets. (3) Studies on animals have also showed that astaxanthin can prevent fat accumulating in the liver leading to liver diseases like cirrhosis or cancer. As well as reducing liver fat, it can reduce triglyceride levels. It goes without saying that your immune system is absolutely vital to your overall health and well-being. A robust immune system protects your body from infectious disease and is constantly on the lookout for pathogenic cells. When overactive however, the immune system can trigger an allergic response when faced with allergens including asthma, skin rashes and auto-immune diseases. Many studies have showed that the intake of carotenoids such as astaxanthin and others are linked to a reduced risk of numerous forms of cancer. (10) Astaxanthin and other types of healthy carotenoid are high in antioxidants and can help prevent and fight cancer at various stages of the disease’s development. You can consume astaxanthin through your diet by eating a regular diet of marine creatures such as crab, shrimp, lobster or rock salmon which has the largest astaxanthin content. Such a diet might be delicious but it is certainly expensive and will also fall short of the dose required to get the real benefits of astaxanthin. 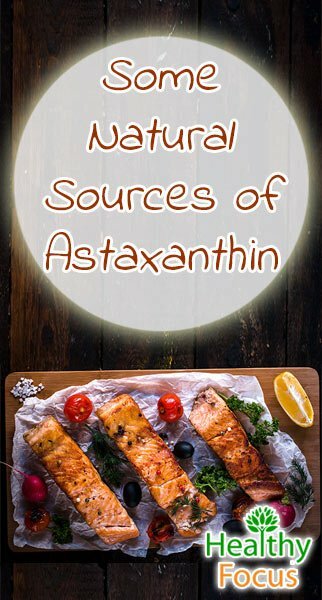 The recommended dose is between 4 mg and 8 mg a day while salmon will provide around 3.5 mg per 6 ounce serving so it is definitely more convenient and cost effective to purchase astaxanthin supplements. Astaxanthin will not work immediately; it typically takes between a fortnight and a month to see any real benefits and those wishing to improve their athletic ability might need to take a higher dosage anywhere between 8 and 12 mg daily. If you are in any way concerned about astaxanthin being toxic, there is no need for alarm. There are no known side effects to astaxanthin and it has been taken safely without adverse effects in doses as high as 50 or more mg a day for up to 3 months. What is more, unlike some antioxidants specifically synthetically produced carotenoids, astaxanthin is not able to transform into a pro-oxidant and is regarded by health experts as being safe.